A bar plot can be used to show data in a cluster or stacked by category. Within this article I want to show you both cases. 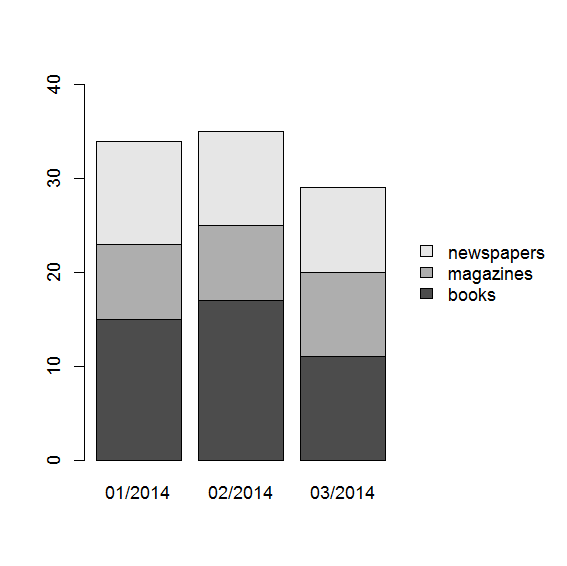 By default a bar plot is clustered. 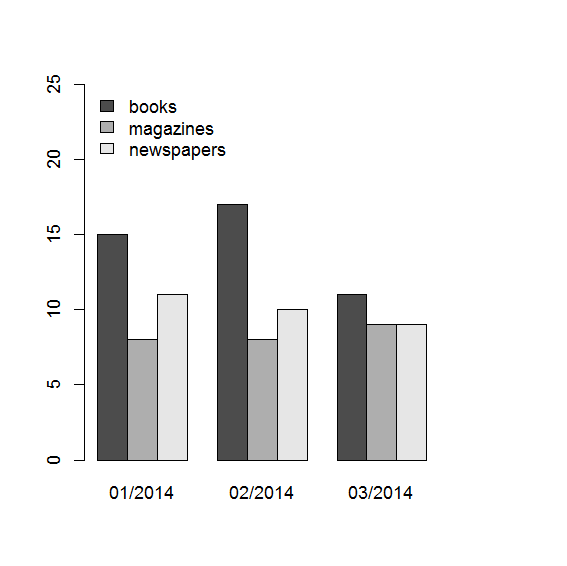 The following example creates a clustered bar plot with the monthly sales data of books, magazines and newspapers. The same data can be shown by creating stacked bars. This will allow you to see the sum of values in each category. To create a stacked bar plot you have to remove the beside parameter. Furthermore I have increased the limits of the y-axis and moved the legend outside of the plot.